The menu kicks off with the Con Abuelita, a Seasonal deconstructed version of traditional Mexican hot chocolate made with ancho chile-infused reposado tequila, 1886 hot chocolate mix and an ancho chile marshmallow created by The Raymond’s pastry chef, Jeffrey Haines. Probably not how grandma (abuelita) used to make it, but no doubt just as comforting. 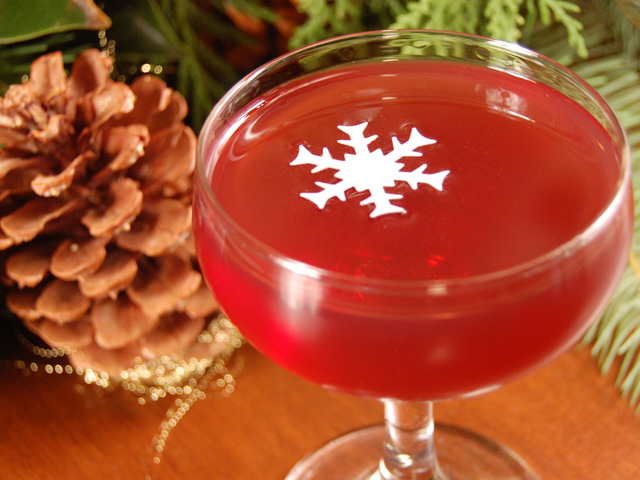 The Chic(ory) Flip honors the original recipe from the 1700’s, but with a caffeinated twist. Served cold, the Chic(ory) Flip is made with chicory coffee-infused rye whiskey, Yeti Stout, one whole egg and caramelized chicory coffee sugar. Variations on the classic Manhattan are legion, and New York native Danny Cymbal offers a Regional version with a nod to Pasadena. His Oak Knoll Manhattan (pictured at top) uses housemade mulled wine vermouth crafted with locally grown spices and botanicals, bonded bourbon, dry vermouth, and dried sugar garnish. In the Shaken section, the 1886 crew continues its tradition of saluting bartenders near and far with the Holland Daze by Kate Grutman (Sotto), made with Bols Genever, housemade pistachio orgeat, Maraschino Liqueur, lemon and housemade sambuca bitters. 1886 head bartender Garrett McKechnie offers the Per-Sin-Amen Cocktail: mezcal, fresh persimmons, housemade cinnamon bark syrup, with lime and Chocolate Creole Bitters. Of the Stirred section, Tello said: “The two I’m really big on are The Smoking Jacket and Coffee and Cigarettes; there’s definitely a theatrical presentation for each.” 1886’s Lacey Murillo created The Smoking Jacket, made with Pot Still Irish Whiskey, 1886 tobacco bitters, Maplewood smoke and edible “ash” made with vanilla, orange and cream. 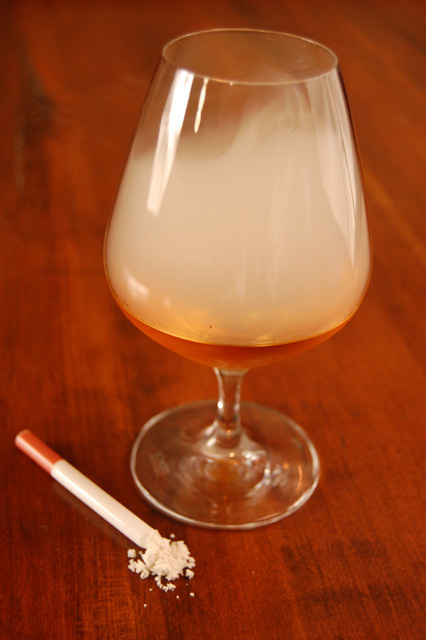 Tello said that Murillo was inspired by this childhood scene: “You’re peeking in on your grandfather having a cigar and drinking his whiskey…[then] he puts his cigar out in his drink, and you sneak in to have a sip.” Because The Smoking Jacket features bitters made out of tobacco, the drink comes with a Surgeon General’s Warning. 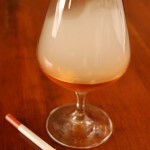 To serve The Smoking Jacket, Maplewood smoke is trapped in a snifter, a napkin holding the smoke is removed, the drink is poured, and the “ash” is added to the cocktail. Brady Weise’s Coffee & Cigarettes is made with vodka, Dark Crème de Cacao, Yeti Stout, hand-whipped cream and an edible vanilla paper rolled cigarette. Tello describes the Coffee & Cigarettes as essentially a “chocolate version of a White Russian, but it’s lengthened with stout, so it has this heavy chocolate coffee note and looks like coffee.” To go with the “coffee,” chef Tim Guiltinan has created a hand-rolled, vanilla paper “cigarette” that’s presented inside a small metal ashtray. And last but not least, Cymbal unveils the final version of his Vintage Caprice barrel-aged cocktail. Made with Beefeater Gin, dry vermouth, Benedictine and orange bitters, the Vintage Caprice was aged for eight months in a bourbon barrel. The previous version was aged for four months.